You Are Here: Home » D.T.E.F. Clinics and tournaments. 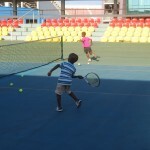 The Donkor Tennis& Education Foundation just completed 12 hours of Tennis Clinics in Accra, Kumasi & Takoradi, 3 regions in the West African country of Ghana. 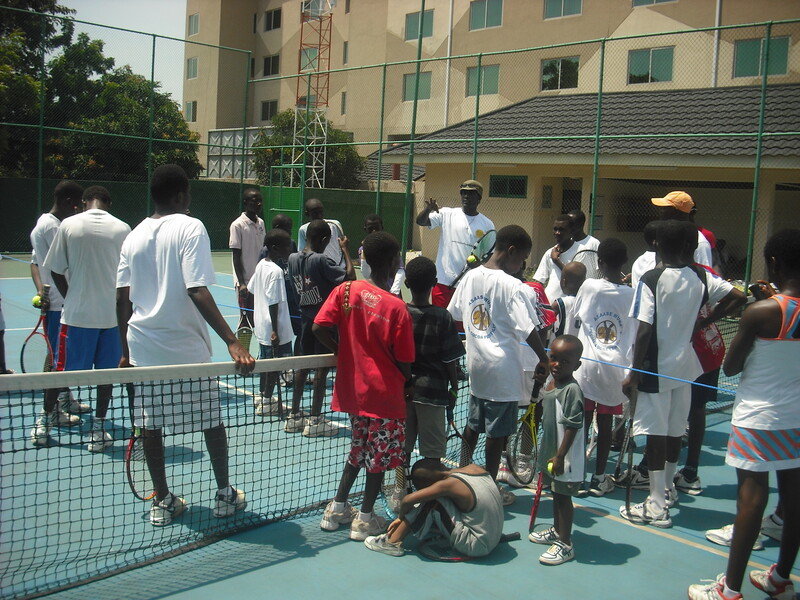 On October 23, 2012, three of Donkor Tennis & Education board of directors (Isaac Donkor-our founder, Eben Donkor & David Nyako) arrived in Accra – Ghana to run clinics for the underprivileged children in the country. This marked the first time that we were able to have three board members running clinics in the country. Ghana has 10 regions in total and this was the first time that we were able to spread our philanthropist gesture to 3 of the regions. A big “Thank You!” to all our sponsors and donors that made this trip possible. 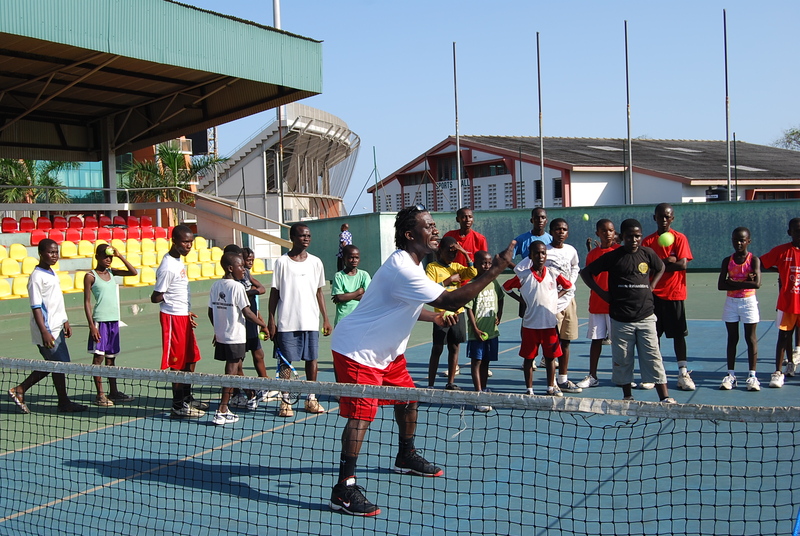 We would also like to take this opportunity to thank Ghana Tennis Association and the Ghana National Sports Council for all of their continuous support and dedication to the Donkor Foundation. In addition we would also like to thank the Special Teams that helped make this trip a success. The Special Teams were comprised of the coaches in Ghana that assisted us in all 3 regions, the coaches at the home courts that helped organized the events, the TV crew that helped broadcast the event on Metro TV and TV 3 in Ghana, the sponsors that supported us with Hotel Rooms (Alisa Hotel, Milken Hotel & Guest House in Kumasi), Breakfast and meals for the clinics participants. We were able to take with us used and new clothing, new and used tennis balls & racquets, new over grips, strings, wrists bands, new and used tennis and school bags, and used tennis shoes. We had a total of 337 children under the age of 18 years old and 5 disabled adults, 4 of them were in wheel chairs and 1 on crutches. 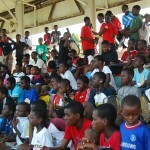 It was very special for the Donkor Foundation to be able to reach out to all 342 participants. The Ghana National Sports Council with the support of the Secretary of Ghana Tennis Association provided the Donkor Foundation a bus to travel to all 3 regions to complete the clinics. The General Secretary of the Donkor Foundation and also PTR Master of Tennis Certified Professional, Eben Donkor used this opportunity to provide a theoretical tennis clinic to the coaches that traveled with us on the bus. We covered areas like Planning, Physical Conditioning, and Growth & Maturation in tennis on the bus. The coaches received it very well and expressed their interest in hearing more lectures like that. We also used this opportunity to visit DTEF’s Headquarters which is being built in Accra. 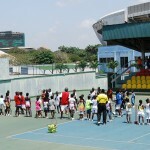 They have successfully completed one tennis court and our Founder, Isaac Donkor has offered suggestions of the direction for the rest of the courts and the building that will host the players. This project will help us have a central location where we can provide clinics on a more consistent basis to the kids and coaches as well. Thank you for supporting the Donkor Foundation, together we will open doors for those who wouldn’t have been able to do so for themselves. We encourage you to continue your support of the Donkor Foundation and we will continue to serve the needs of ALL our athletes. You can make monetary donations on our website at www.donkorfoundation.org. 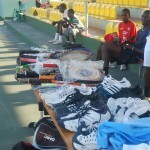 You can also send us your gently used tennis racquets, clothing, shoes and bags (tennis and school back packs). Please send these items to: Eben Donkor, 3850 Lightfoot Street, #152, Chantilly, VA 20151 or Isaac Donkor, 2354 123rd pl, East, Parrish, Florida 34219. Thank you for your continued support, you are appreciated! 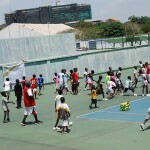 The Donkor Foundation conducted its third and biggest clinic in October/November 2011 at the Accra Sports stadium and for the first time branched out to Kumasi to reach out to more kids. The Clinics were a huge success with over 150 children attending over the two weekends in Accra and around 70 children attending in Kumasi over two days. 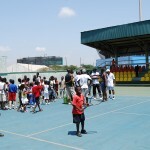 Isaac Donkor, the founder of the DTEF, travelled to Ghana armed with over 100 donated rackets, 2000 tennis balls and donated sports wear and shoes to give as prizes. The trip lasted for two weeks with Isaac conducting coaches workshops with ten DTEF coaches to broaden their knowledge in coaching, ready for our facility and programmes to begin. After the success of our first clinic, the D.T.E.F wanted to its second event to be bigger and better. Isaac traveled to Ghana on June 13th to run our second tournament. This time we held it at the stadium in Accra which gave us access to four courts , instead of one. With just over 100 children and young adults signing up , Isaac knew it was going to be a great event. 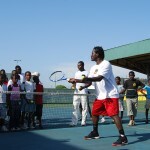 After enlisting the help of some of his trusty tennis friends they got to work with the draw and the tournament began on Friday. The media turned out every day to take pictures and to film the matches. For the first time this year, the DTEF expanded to Zimbabwe thanks to one of our generous sponsors. A clinic was held for around 90 Elementary students from the local schools. 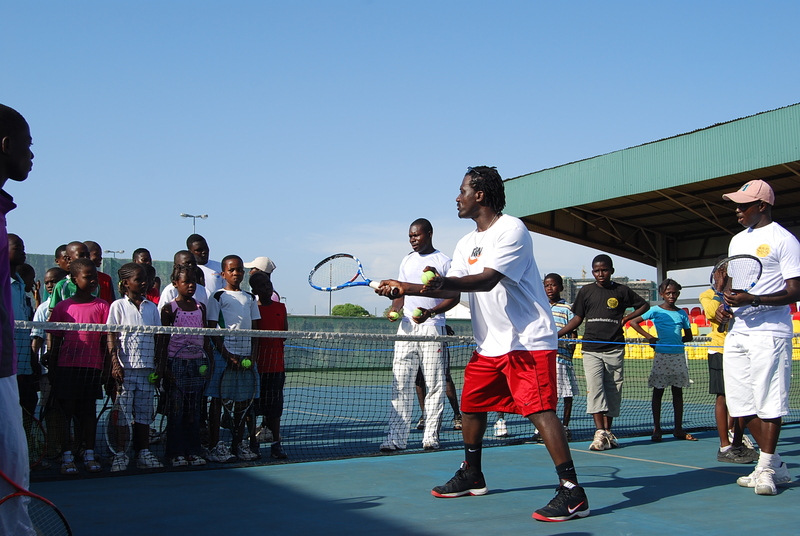 Our founder, Isaac Donkor, along with two of our directors Scott Treibly and Dottie Jones, put the kids through thier paces with games and tennis “simon says”. As a special guest coach Wayne Black , a former South African Pro who won two mens doubles grand slams(US open and Australian) and also won wimbledon and french open in mixed doubles along with his sister. This was a great boost for the Foundation. The Children had so much fun and were rewarded at the end with PB&J sandwiches, Drinks and candy. 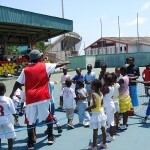 The coaches were not sure what the children enjoyed more, the tennis or the Candy!!! The DTEF would also like to say a massive thankyou to the Jones family for providing the food, drink and venue, and also for the help from Dottie, Chrissie and Jack on Court. Please view our videos for a look at the days events!!! 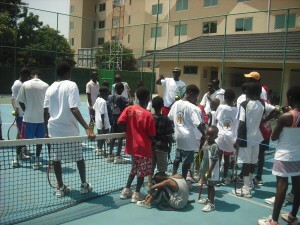 The Donkor Tennis and Education Foundation held its first clinic on Saturday 30th October, 2010. 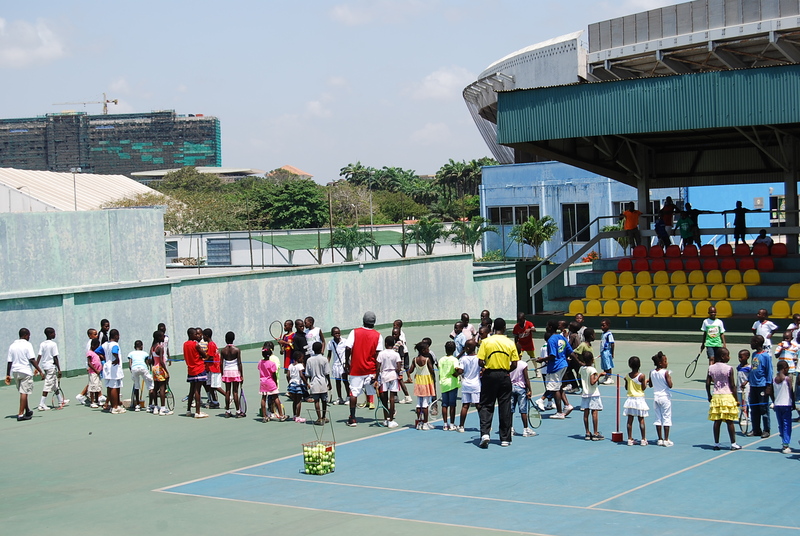 The clinic was a huge success with around 70 children participating. The Alisa Hotel was kind enough to sponsor us by donating food and drink to the kids as well as the venue. 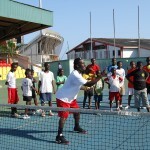 Isaac and his team put the kids through their paces with drills, shadow tennis and fun games. Every child went home with a prize of either a racket, T shirt, balls or a combination of the three. We would like to thank all who participated and everyone who helped make this a day to remember, not only for the kids but also to the foundation. 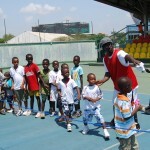 Kids at the Accra Clinic.